New York closed two more schools yesterday amid the swine flu scare. That brings the total of school closures in New York to 19. The death of an assistant principal in the state. The recent death of a 16 month old who was thought to have died of the swine flu has been confirmed as not having been caused by the H1N1 swine flu virus. Did a 16 month old boy die of the H1N1 swine flu virus in New York? No-one is really sure. The little boy was taken to the hospital with a high fever and flu like symptoms and died a short time after arrival. The hospital is now testing to find out if the cause of the death was swine flu related. Earlier in the week an assistant school principal died of the swine flu virus in New York. 17 schools have been closed in the New York area due to the swine flu scare. The swine flu is not behind us. In New York there has recently been a death of an assistant school principal who became ill with the swine flu virus. H1N1 has now been confirmed in approximately 4000 people in the United States, and possibly over 100,000 individuals worldwide. There is some conjecture that the virus has mutated into a more virulent strain, however, there is no research that proves it is more deadly than a regular flu. Nevertheless, it is recommended that people follow all recommended precautions for avoiding contamination with the H1N1 swine flu virus. 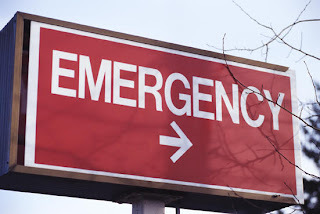 Emergency rooms are swamped with people who think they have the flu.Officials urge people to not rush to emergency rooms if they think they might have the flu virus. Instead, visit an emergency clinic if your doctors office is closed. Better yet, try to treat the flu as you would any other, with fluids, bed rest and medication to bring the fever down. The H1N1 Swine flu virus has not shown any unusual virulence,and individuals who contract the virus exhibit regular flu symptoms. The United States has one confirmed death, a 23 month old child, who was a resident of Mexico and was visiting the United States. Fans in New York were kept out of a soccer game because officials were afraid of the spread of swine flu. Fans pounded on the fence surrounding the stadium and chanted loudly, hoping to convince officials to let them in the stadium. The soccer teams ended up playing to an empty stadium, however, as New York City police blocked entry. 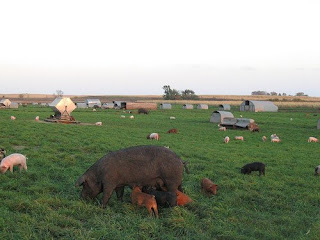 A farmer who had just returned from Mexico gave the Swine flu virus to his pigs. The farmer infected 200 of his pigs in Alberta Canada. The pigs were then quarantined and have since recovered. The infection is not thought to have traveled outside of the farm. 30 states have now confirmed over 200 cases in the United States from the dreaded H1N1 Swine Flu virus. There are 19 confirmed deaths in Mexico, which is less than previously suspected. The testing has come back and the results have shed some light on the virility of the H1N1 virus. The H1N1 virus lacks an essential amino acid it needs to transmit efficiently, therefore it is not spreading as quickly as other influenza viruses might.Kathleen Sebelius, Health and Human Services Secretary says, "We don't know what this new virus might do." Which is why the World Health Organization (WHO) continues to recommend taking precautionary measures to avoid flu infection. *Case is resident of KY but currently hospitalized in GA.
How many confirmed cases have there been of the H1N1 virus? 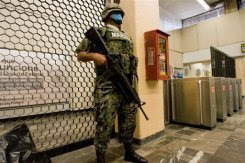 Some experts suspect there are only 15-20 actual confirmed cases of the H1N1 Swine flu virus as opposed to the orginally reported hundreds of cases that came out of Mexico. 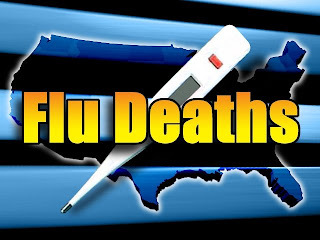 This particular strain of flu may have caused many fewer deaths than have been reported. Stay tuned for updates on this information. In the United States there are only 200 or more cases spread over 23 states with one death. The death was a child who had recently been to Mexico. The virus will generally live on a surface for a very short period of time. Essentially, the H1N1 virus is spreading throughout the United States, just like any flu virus. It has not been deadly here yet to more than one person. 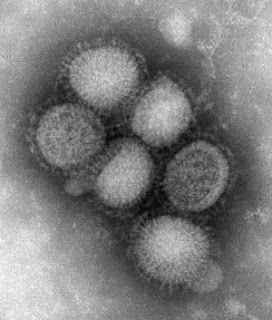 Regular influenza kills over 30 million people every year, and H1N1 Swine flu virus is currently just another influenza virus with a couple of mutations. Be on guard, but do not panic. 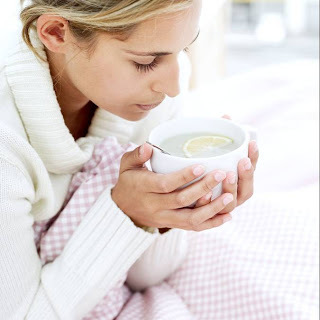 Take regular precautions you would at any time to avoid flu, but try to ignore all the hype. How Many Countries Have Swine Flu? The World Health Organization (WHO) has now reported that the number of confirmed cases of the H1N1 Swine flu virus is now 615, up from 365 earlier in the week. 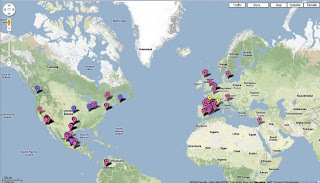 As of this post 15 countries have seen cases of the Swine flu including, Switzerland, France, South Korea, Hong Kong, the Netherlands, Denmark, Austria, Israel, New Zealand, Germany, Canada, Spain, Britain, Mexico and the latest country to join the club is Italy. Mexico has lowered its death toll from Swine flu from 176 to 101, with 397 reported cases. In the United States, 19 states have reported a total of 141 cases as of this post, and is second to Mexico in the number of cases that have been confirmed. THE World Health Organization has raised its tally of confirmed human cases of swine flu to 615 from 365. There have been 17 confirmed deaths. You might have noticed people wearing masks on the subway in Mexico City. Is that something we need to do in American cities? As of now, the Centers for Disease Control (CDC) is not recommending masks while riding public transportation. However, if your city has reported cases you may want to use one for extra precautionary measures. The N95 mask has been touted as performing adequately against respiratory infections such as the H1N1 Swine flu virus. Make sure you wash your hands after touching anything on public transportation and ask people to cover their mouths when coughing. Why is No-One Dying in the United States? The lack of deaths here in the United States has experts wondering what has changed the virus to make it less fatal among the American population. Many scientists and doctors believe that people dying in Mexico could be suffering from secondary infectiions such as diabetes or heart disease that make them more susceptible to the virus. It might also be be another viral infection in addition to the H1N1 that is creating a more deadly combination. Finally, the pollution or lack of adequate health care could contribute greatly to the fatalities. It does appear that the number of cases is stabilizing in Mexico as more infected individuals are administered antiviral medications such as Tamiflu in a timely manner. A positive note regarding the Swine flu virus is that the genetic sequence-lacks amino acid that allows it to reproduce quickly. In addition, the virus replication appears to behave differently in Mexico than in the United States. Because it lacks the amino acid, it does not replicate as quickly and therefore is not passed as rapidly from human to human. So far the H1N1 Swine flu virus has shut down 300 schools across the United States. At least 11 states have confirmed cases. Virginia, Florida, Michigan, South Carolina,Texas, Arizona, California, Indiana, Kansas, Massachusetts, Nevada, New York and Ohio. Although the number of Swine Flu cases in Mexico seems to have stabilized, the flu cases continue to increase in the United States with over 100 confirmed cases. That number is expected to rise quickly. Can Mosquitoes Carry the H1N1 Swine Flu Virus? 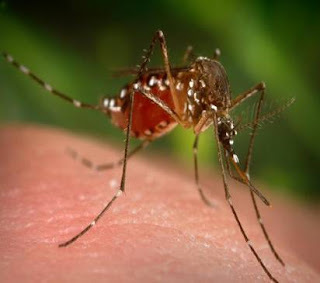 Do mosquitoes carry the H1N1 Swine flu virus? Most researchers say that at this point it is not likely. Mosquitoes do not usually carry the flu virus, however, mosquitoes have been host to a number of other deadly viruses including the West Nile virus, St Louis Encephalitis, and Malaria to name a few.There have been no reported cases of the H1N1 Swine Flu virus being transmitted by mosquitoes, but taking precautions cannot hurt. Should You Go on a Cruise While the Swine Flu Runs Rampant? If you are going on a cruise, you may want to rethink your plans. 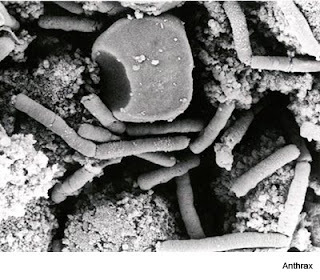 Cruises are a hotbed of viruses and bacteria that grow and reproduce due to the unique conditons of moisture and containment. 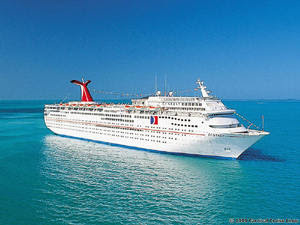 Cruises might be most dangerous because of the confinement issues involved with being on a cruise ship. If you must take your trip, wash hands constantly and use alcohol based gels while on the ship. Be extra cautious touching handrails or other surfaces where the virus might live as well. Is the H1N1 Swine Flu Virus Man Made? Many people feel that the H1N1 Swine Flu virus is man made, and this is definitely possible. In an attempt to protect our country, there is no doubt that scientists working for the goverment have dabbled with biological weapons. H1N1 may be lab created, however, there is no evidence to support this theory. H1N1 is a virus that can occur naturally as well.The pig is an ideal creature for the virus to evolve because they can get an infection from another pig, human or bird which might then combine and reproduce to become what it has, a mosaic virus that is dangerous and deadly. So conspiracy theories are out there, and it may be a human error, however, it might have been nothing more than nature doing what it does best, creating and sustaining life. Did You Have the Swine Flu? Many people are speculating that they may have had the H1N1 virus, or Swine flu, and not have known they had the virus. This is very possible according to the Centers for Disease Control (CDC). 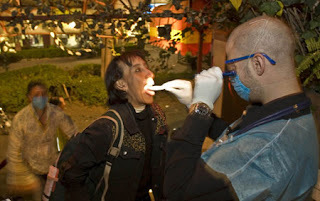 The virus has been circulating in Mexico for at least 2 months as of April 2009, and possibly more. It is likely that the flu was here in the United States as well. The H1N1 virus took a couple of months to really hit the Mexican people hard and begin causing fatalities. There is widespread speculation as to why the virus has not taken the same toll on the American people as it did on the Mexicans. Some experts feel it could be simply the state of health care in Mexico, or the lack thereof. Others feel that the lack of sanitation in areas of Mexico could be responsible for the widespread viral attack. Still others feel that Mexico City is so overpopulated that it is not an unusually large number of cases for this region to suffer during influenza outbreaks. Either way, the H1N1 (Swine flu) virus has been around for awhile in both Mexico and the United States, and if you were recently ill with flu-like symptoms including diarreah, vomiting, coughing and fever, then you certainly may have had the Swine flu. 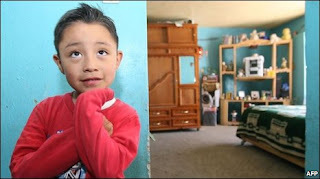 A little boy, five year old Edgar Hernandez, is believed to be the first known sufferer of the most recent H1N1 (Swine flu) virus that killed over 160 people in Mexico, and has sickened at least 3000 people all over the World. He got sick toward the end of March 2009 and when tested was found to have the H1N1 virus that is commonly known as the Swine flu. Fortunately, Edgar was treated early and recovered well. Edgar had no known contact with pigs where he might have contracted the disease, and how he contracted the virus is still unknown. The first death was a 39 year old woman in Mexico who developed symptoms from the virus after having had no contact with pigs or farm animals. Adela Maria Gutierrez did work as a door to door census taker however, and had extensive contact with the public. Her death is thought to have been caused by viral infection which led to pneumonia, and the associated complications brought on by her diabetes. Michigan has seen it's first case of the H1N1 virus or Swine flu, which probably means more will follow the highly contagious virus. For more information, follow th link below to find How to Get Information and Track the Outbreak of Swine Flu in Michigan.